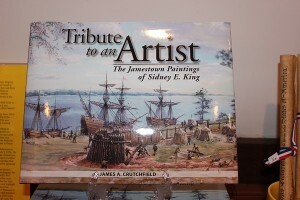 This 37 plate book chronicles the works of renowned Caroline County artist, Sidney King. It tells the story of the beginning of Jamestown, as depicted and seen through King’s eyes. With narratives by James Crutchfield, the reader will gain a greater understanding of the first settlers living in the new world.